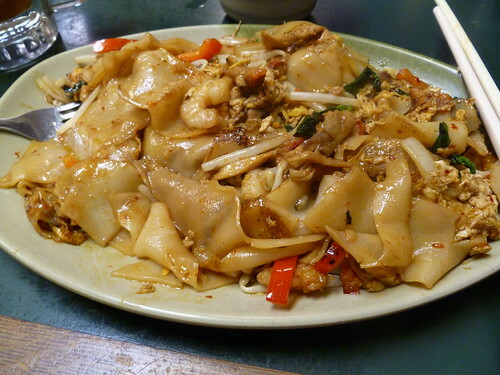 I first had drunken noodles (pad kee mao) at a place called Bangkok Bistro in Georgetown. The wide rice noodles reminded me of Chinese chow fun, especially when stir-fried with veggies and thinly sliced beef, but the flavors tasted so much brighter. I think it was the first time I understood that a dish was capable of being savory, sweet, and spicy all at the same time. The dish has become somewhat of a personal barometer for any new Thai restaurants that I try. When I still thought I was going to Washington University in St. Louis for law school and visited last spring, I was so disappointed with the local version of drunken noodles that I actually began to doubt my school of choice. Luckily, it worked out that I ended up somewhere with an excellent offering of Thai cuisine. 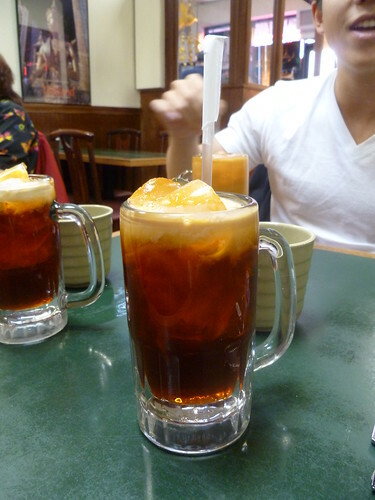 Here in NJ, we’re blessed with a wide variety of Asian restaurants, and Four Seasons is probably one of my favorites. It’s small and sparsely decorated, with only a couple photos of Thai royalty here and there, but the owners are friendly, the service is snappy, and the food…oh the food. Granted I only ever get one dish, but it’s so damn good that you’d never need anything else. The noodles are coated in a spicy and sweet red ambrosia and the combination of chicken, barbecue pork, shrimp, and egg keeps each mouthful interesting. There’s a healthy amount of fresh Thai basil thrown in there, the strong anise flavor of which I’ve really learned to love over the years, and a sweet crunch from all the red peppers. Although I always get mild level, this dish is anything but. Throughout our meal, and despite the fact that we were sucking down Thai iced teas, Tonia, Jiawen and I were all crying from happiness and heat, a good place to be. 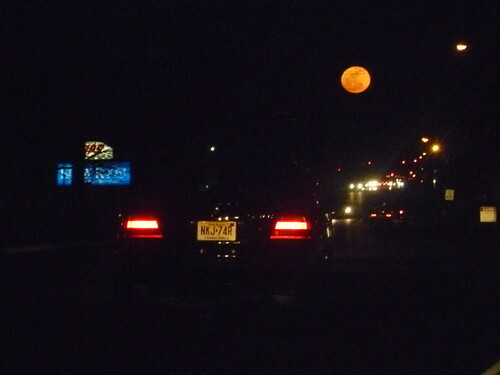 Also, on our way home, the moon was absolutely stunning! There’s apparently some scientific explanation for its appearance tonight (full moon phase coinciding with perigee), but it was so huge and golden that the effect was somewhat disconcerting – as if the world was about to end. The photo below really doesn’t do it justice. An hour later, though, it was normal-sized again and the moment was gone. You are currently reading Raging heat and a golden moon at Notes on Food.